Its been over month I have not updated my blog since facebook was so convenient nowadays. I have been busy for many photo outings, photo contest and other activities. Most probably will be update to my facebook and my blog here will have big changes soon. My facebook link here. Any updates I will notice in my facebook amd sorry for the readers of my blog. This was my most happy moment for the year. I have been taking photos for few years already and this was what I have waiting for. 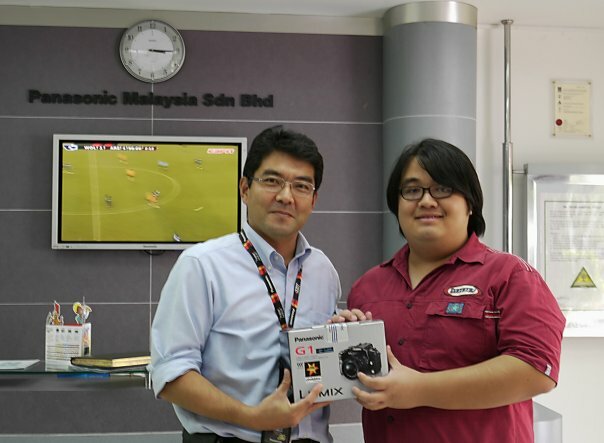 Thanks for Lumix to loaning out this G1 for me and I was absolutely lucky to win this photo competition for Lumix Star Search 09. By the way, I really thanks who ever vote my photos and all my supporters. Below was my lucky photo. This entry was posted in My Life 生活, Photography 摄影 and tagged Lumix, Lumix G1, Lumix Star Search 09, My Life 生活, Panasonic, Panasonic Lumix, Photo contest, Photography contest on November 21, 2009 by Mia.